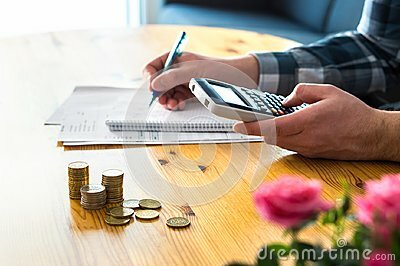 Man using calculator and counting budget, expenses and savings. Man using calculator and counting budget, expenses and savings. Low income family living cost and rising prices concept. Calculating and budgeting. Making retirement plan. Writing notes on paper.